Last week while I was being interviewed on blog talk radio with Kellie Fitzgerald, one of the questions she had asked me was if I felt like my friends or family tried to sabotage my success while I was on my weight loss journey. These type of people are affectionally known as “diet saboteurs or food pushers.” This was a question I had often asked myself during the process, but came to the realization what may have appeared to be sabotage to others and most times unintentional, in actuality it was just them continuing to live their lives. I WAS THE ONE WHO DECIDED TO CHANGE THE GAME PLAY IN THE MIDDLE OF THE GAME BY WANTING TO BECOME HEALTHIER…NOT THEM. While there are some diet saboteurs out there, majority of your family and friends are rooting for you and want to support you in your efforts, but don’t know how. 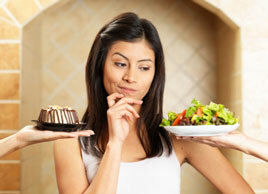 They don’t know how hard it is for you to try and make good eating decisions everyday. For example, they will eat a piece of chocolate cake in front of you knowingly it’s your favorite and then ask you if you want a piece. How sometimes you just don’t feel like going to the gym or get a quick run in, but you do, and they jokingly comment how you have become a gym rat or all that you do is run. Here, have a small bite of this. Oh, one or two cookies won’t hurt. You’re getting to be too thin. I can see your bones. You can skip that one workout. Do these comments sometimes hurt? Yes, especially when it comes from the people whom you love and care about. Some unwanted commentaries are made out of jealousy because they wished they had the courage to make the same life altering decision you made to live healthier. Others are made out of ignorance because they don’t know how negative and discouraging it can be towards your weight loss and fitness goals. Remember after all, you were the one who decided to change…not them. This includes their mindset and behavior towards you. With all of that being said, if anything, I was the one who was doing the most self sabotaging. After all, I am the one with whom I spend the most time with. I am an entrepreneur by trade, therefore I spend majority of my day alone with my positive and negative thoughts, hopes, dreams, refrigerator, pantry and scale. I CAN BE MY BIGGEST SUPPORTER AS WELL AS MY BIGGEST ENEMY. Your negative thoughts, actions and reactions can be your downfall and demise towards your weight loss and fitness goals if you allow them to overtake all of the positive headways you’ve made. Soooo many negative thoughts would cloud my mind as I was going through my weight loss journey and still do. I’m an all or none kinda girl and self proclaimed perfectionista. Thank God I am working on both of those issues because it’s both a gift and a curse wanting things done right, with order and decorum. I had to learn how to embrace and accept my flaws, realize I have control issues and there are some things that are just out of my control, and learn how to forgive myself as well as love myself through it all. Over the years I would pat myself on the back for my successes but overly criticize myself on my setbacks. Sometimes, I would allow my setbacks to overshadow my successes to the point where I would discount them all. It was like a see saw battle in my mind. I never knew which side would win by the end of the day. I was sabotaging my previous efforts if I ate something unhealthy, missed a workout, the scale wasn’t moving fast enough, and compared myself to other women whom I felt like had the ideal body type I wanted. You would think after having lost 177 lbs, give or take 5-7 pounds, going from a size 32 to a size 8, off of my diabetes and hypertension meds, and now running half marathons I would be grateful and happy. For the most part, I am. Just because I’ve dropped the weight in 4 years, doesn’t mean I’ve dropped all of the emotional weight that has been attached to it for the past 41-42 years. I’m still a work in progress. I can admit that I don’t have all of the answers or have it together 24/7 because I am human. I am allowed to cry, make mistakes, dust myself off and learn from them. That’s what christians call grace and mercy. I realize I am worth the struggle of my journey and keeping the weight off. I will continue to workout and eat right. I will shut out all negative thoughts and replace them with positive ones. I will not be the cause of my downfall and demise. We’ve all fallen into the snare trap called, “What’s the point of it all.” It’s up to you to break free by wanting to live a longer and fuller life and adopting a healthier lifestyle. Don’t you realize that you deserve all that life has to offer you? The best in life is available to you but some of those things can only be obtained by living a healthier life. Stop sabotaging your efforts in achieving your goals. Write down your weight loss wins vs. your weight loss woes. I can guarantee your wins will outweigh your woes. If you search for gratefulness you will find it there. If you search for fault finding you will find that too. In this maze called life, there will be twists and turns, snares and opportunities, gratefulness and criticisms. What you go searching for and how you react to it once you find it is up to you. Now is the perfect opportunity to become the biggest supporter on your team. On a piece of paper, make two columns where you can write down your weight loss wins vs your weight loss woes. Here’s mine. My can’ts have become my cans. The number on the scale nor the tag in the back of my clothing no longer define who I am or my purpose in life. My non scale victories are my clothing measurements of success. There’s no such thing as an all or none attitude towards my day. I’ve penciled in room for mistakes that can be erased. My body type is my ideal body type. I’m constantly working on me. I love life and I love me. I have the activity of my arms, limbs and I am in my right mind. I am sharing and helping people all over the world achieving their lifestyle and weight loss goals. I am fit and finally free! Wanting to lose an additional 15 pounds. Some loose skin but not earth shattering. As you can see, my wins outweigh my woes. As women, we try to find fault with our bodies which is unfair to us. You are in competition with no one but you. Love and embrace where you are right now so that you can love yourself even more to where you are going. Stop criticizing and start celebrating the new you. 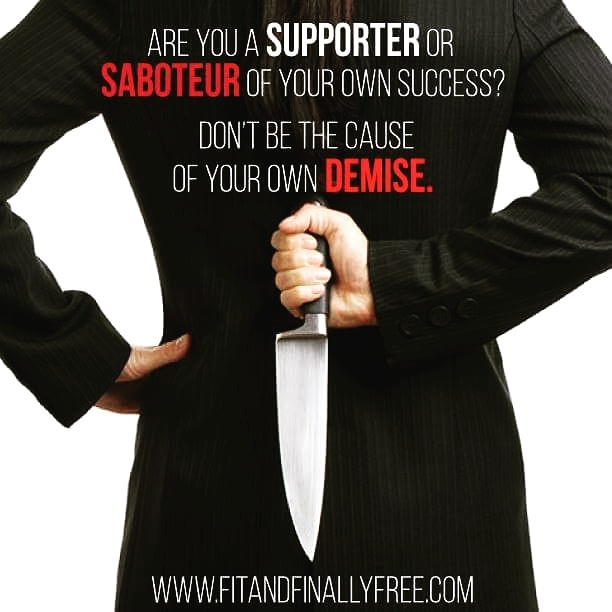 Don’t be the cause of your demise. Be the cause of your success story you have yet to write. We can’t wait to read all about it!